^ Leeds Bradford - EGNM. Nats-uk.ead-it.com. [5 June 2014]. ^ UK Airport Data. UK Civil Aviation Authority. 3 March 2017 [15 March 2017]. ^ History & Developments. 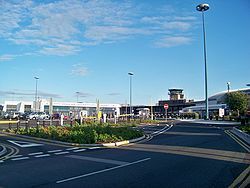 Leeds Bradford Airport Company. [10 December 2010]. （原始内容存档于2010年11月26日）.